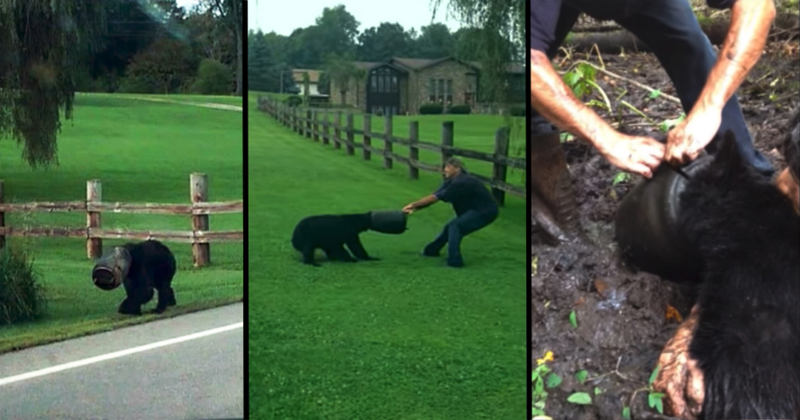 When Dean Hornberger and his girlfriend Samantha Eigenbrod saw a photo of a bear who had been struggling with an object stuck on his head for over a month, they decided to try to find and help the bear. What might have been a straightforward rescue turned into an adventure when they caught up with the bear. 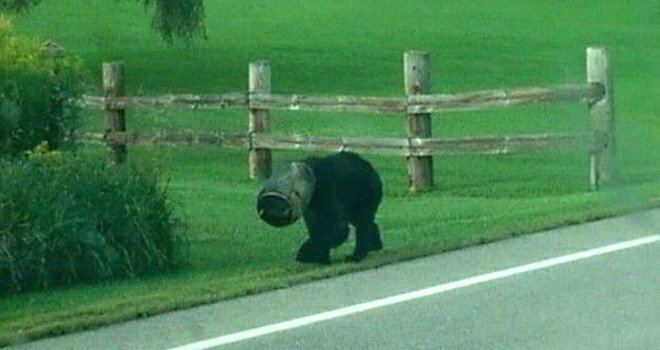 The young black bear had been roaming through Clarion County in western Pennsylvania with what looked like a bucket over his head. Dean, who is an animal rescue volunteer, enlisted help from a few of his friends to help him with the rescue, which took place on Labor Day in 2014. They searched for a few hours for the bear and were about to give up when they saw him on the side of the road. Dean first tried to wrestle the object off the bear’s head, but it was stuck on too tight and the bear slipped out of his grasp and ran away. The rescuers gave chase and ended up in a giant mud hole. They soon discovered that the “bucket” was actually a rubber air bag normally used to cushion tractor trailers and was fastened tightly around the bear’s neck with a metal ring. Share this rescue with your Friends & Family!